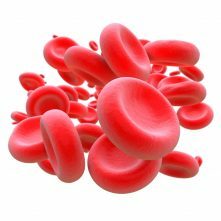 You are here: Home / Aktuelt / Health & Wellness / What is really blood thinning medicine? Most people will get a bruise or a wound growing up, and the small superficial wounds will heal themselves. Very early in the healing process the wound is “clogged” with coagulated blood. This clogging is mechanism to defend t he body, but in some cases it can be harmful, e.g when a blood clot is formed.A blood clot will have many of the same components as a crust on a wound and, like most crusts, most blood clots may disappear as they simply dissolve back in the blood. or to the lungs and this might be life threatening. 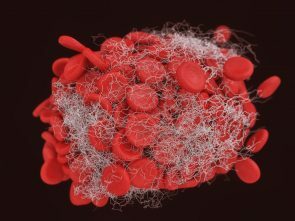 The blood thinning medications help existing blood clots to dissolve and prevent them from forming new ones. The risk associated with these medications is that bleeding may occur. We at WMC wanted to focus on blood thinning drugs just because so many people use them and that they are both vital and dangerous at the same time. As with any other medical treatments, it is important to follow the instructions given to you by your doctor. Should you travel away, either domestic or abroad, this is one of those medications for which it is important for you to have a plan around. Both in case you should lose your tablets, or you get sick and you must go to hospital. It is important that you talk to your doctor if you have any questions regarding blood thinning agents.